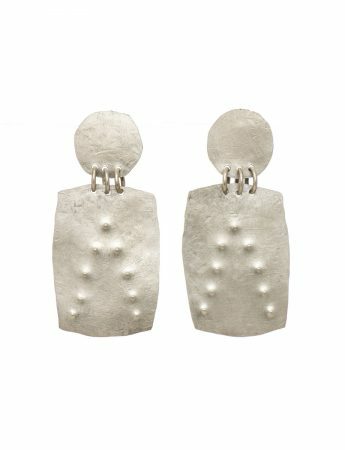 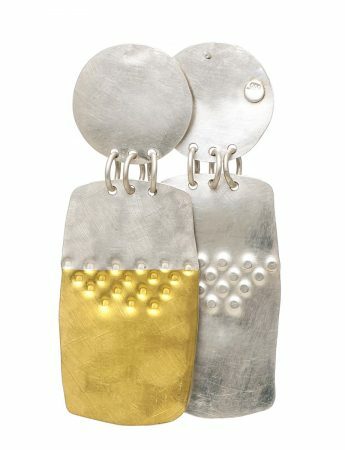 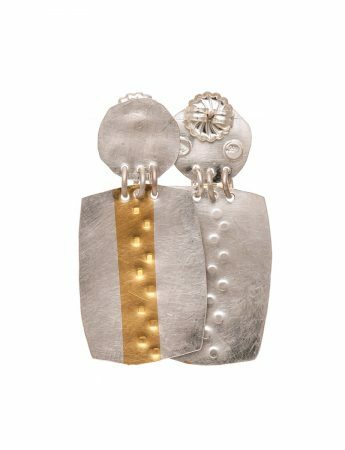 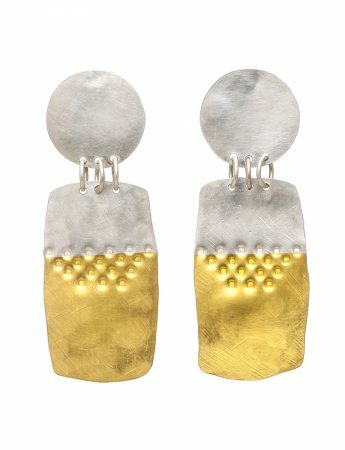 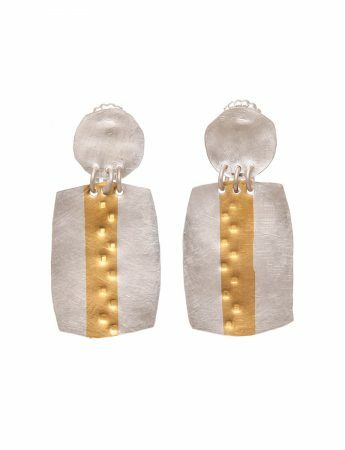 Large silver and gold earrings handmade by Robyn Wilson. 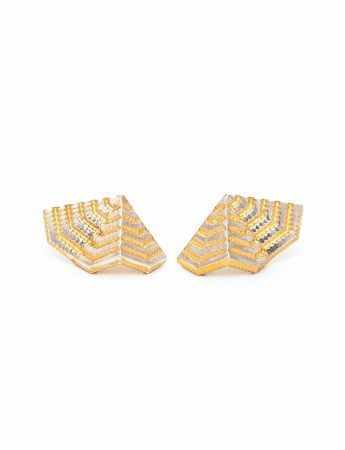 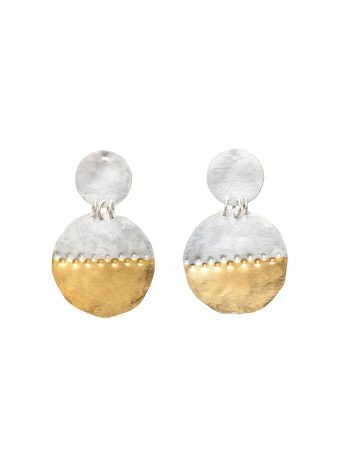 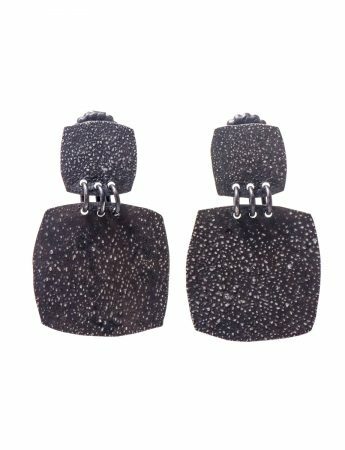 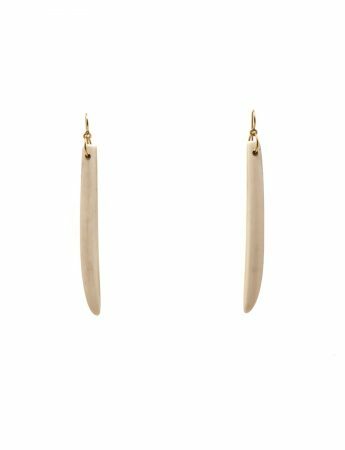 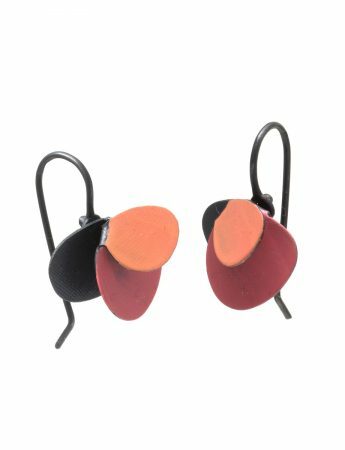 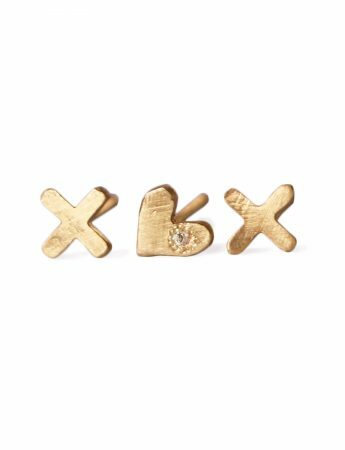 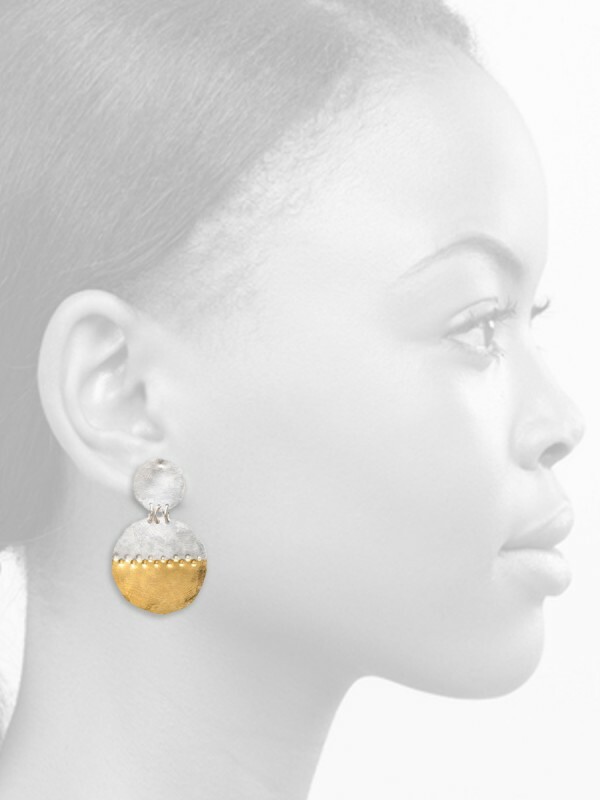 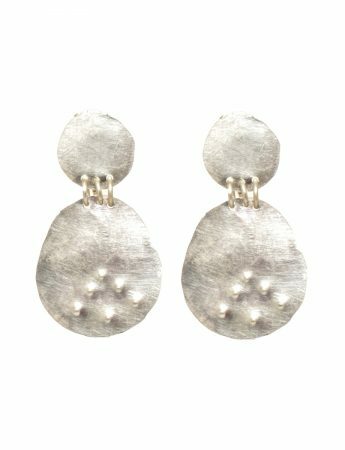 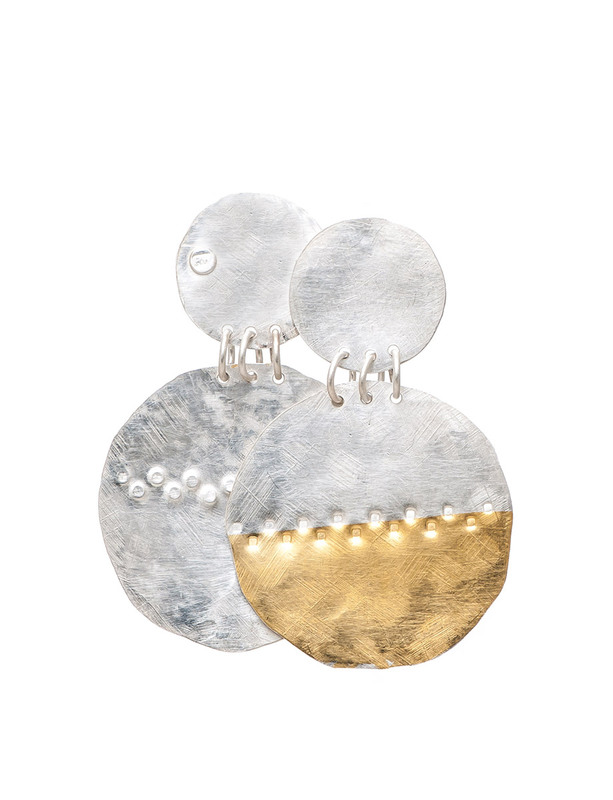 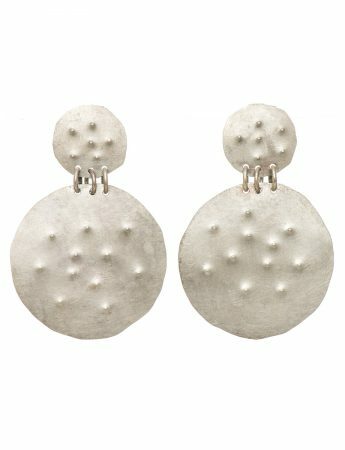 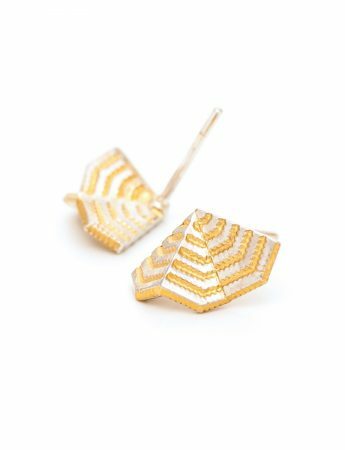 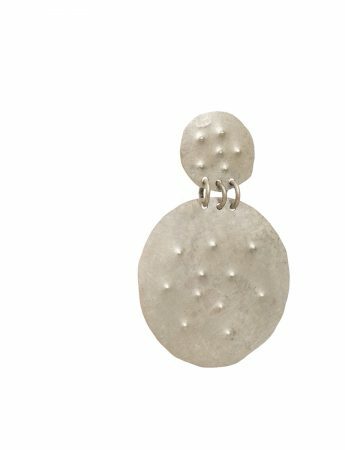 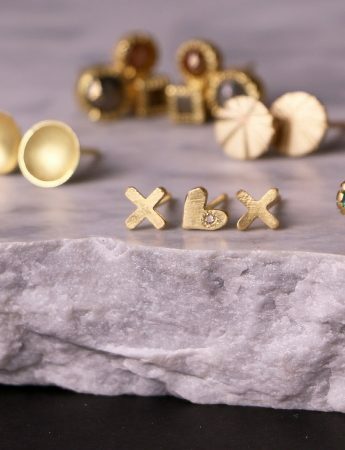 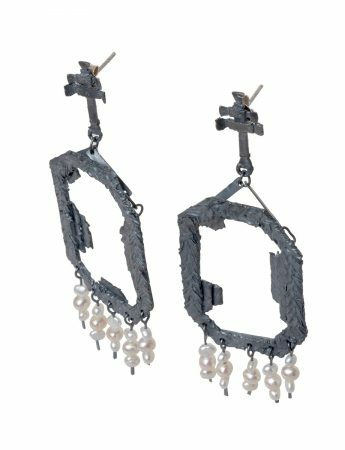 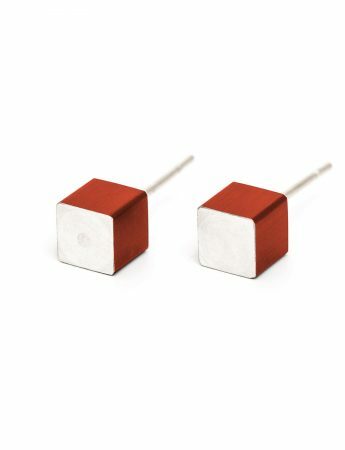 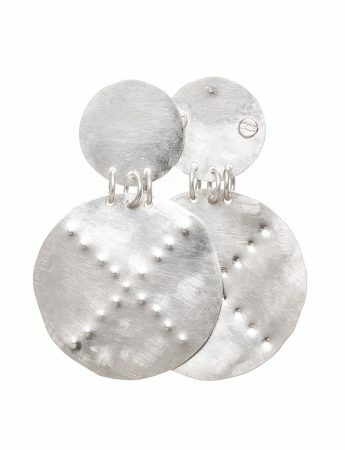 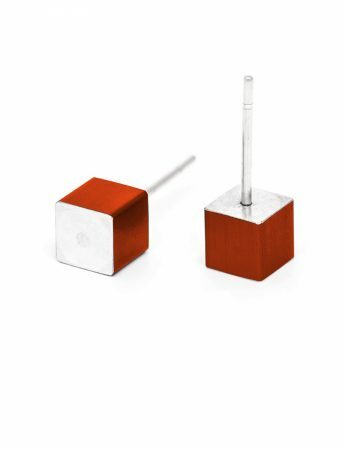 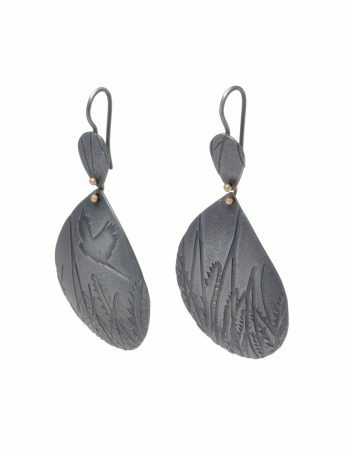 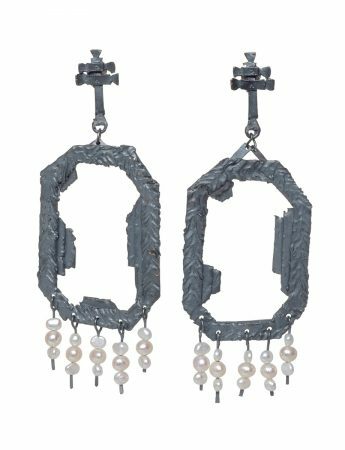 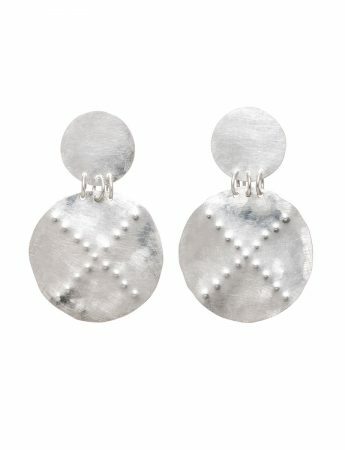 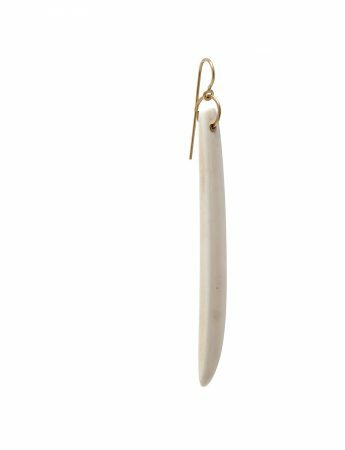 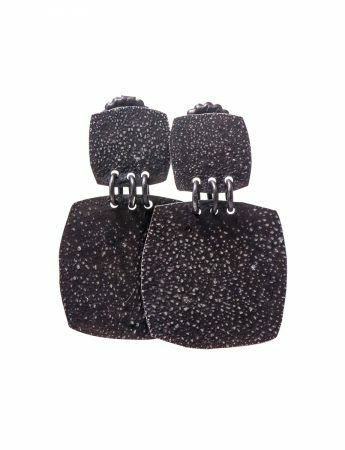 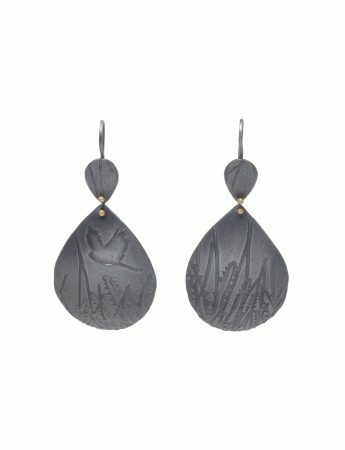 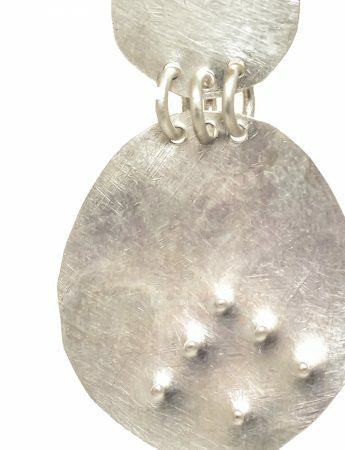 The beaten finish allows these earrings to reflect light for luxe metallic shine. Details, exact size and pattern placement may vary from the image pictured.